Tokunation › General Tokusatsu News › S.I.C. Kikaider, Hakaider and Kamen Rider Birth Revealed? S.I.C. Kikaider, Hakaider and Kamen Rider Birth Revealed? Thanks to the latest round of magazine scans now online we have a quick look at some future Super Imaginative Chogokin releases! We now have some concept art for SIC designs based on the tokusatsu hero Kikaider and his enemy, the evil Hakaider! Sadly, no details relating to price or release dates are available at this time. 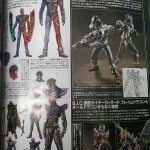 In addition we have a closer look at SIC Kamen Rider Birth and his backup Rider, Proto-Birth. Previous teaser images suggested that Birth’s release would merely be a ZERO-type (meaning no articulation) but this recent image shows Birth’s armor & weapons- which may imply a fully functional release. Stay tuned to TokuNation for further details on these exciting new releases! › Companies: Bandai Japan › Characters: Kikaider, Hakaider, Kamen Rider Birth › Toyline: S.I.C. New versions of each? How odd. So much unexpectedness going on tonight... BANDAI WHATS GOING ON?! No these aren't Reboots for sure. 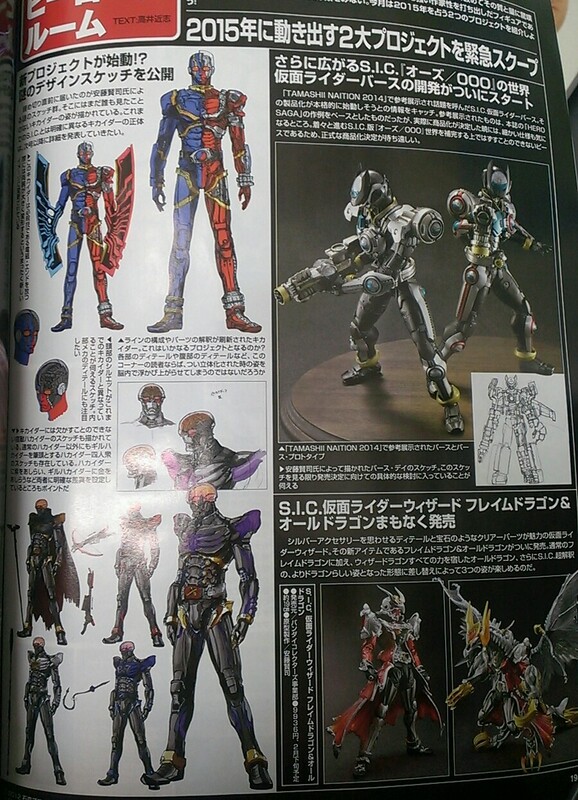 That's a more classicly styled Kikaider & Hakaider looks a bit closer to the Mechanical Violator design. I like Kikaider and everything but I couldn't help staring at Birth and Proto. As the franchise that STARTED the SIC line, it was only a matter of time. That Kikaider looks so awesome.